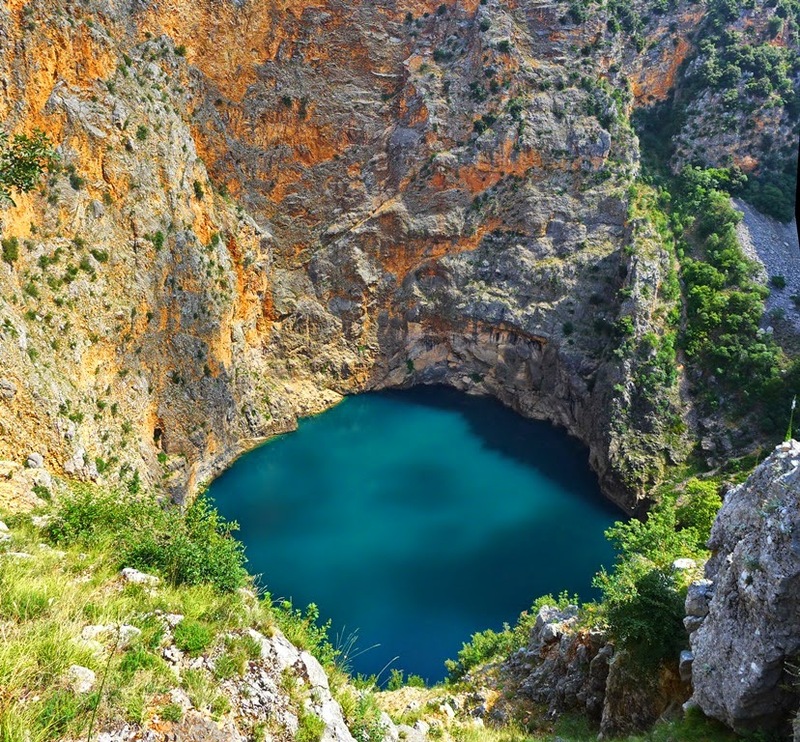 Red Lake is a sinkhole containing a karst lake near the city of Imotski, Croatia is third largest sinkholes in the world. 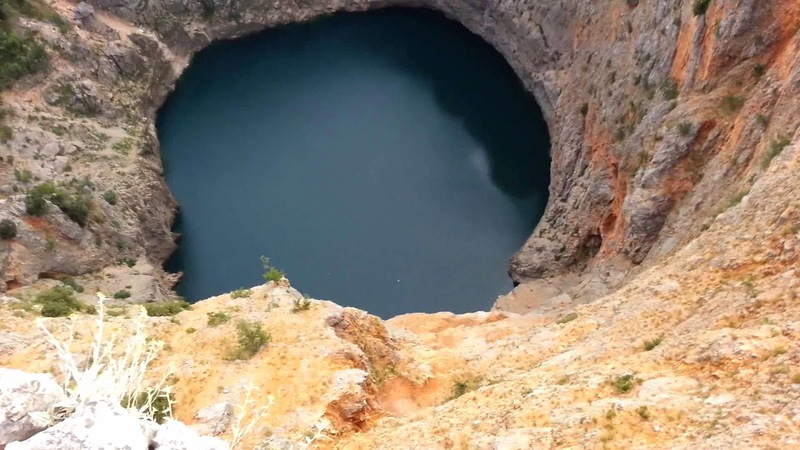 Sinkhole cliff faces that soar nearly 800 feet above sea level, and offers humanity a chance to drop into the earth and explore its numerous submerged waterways. 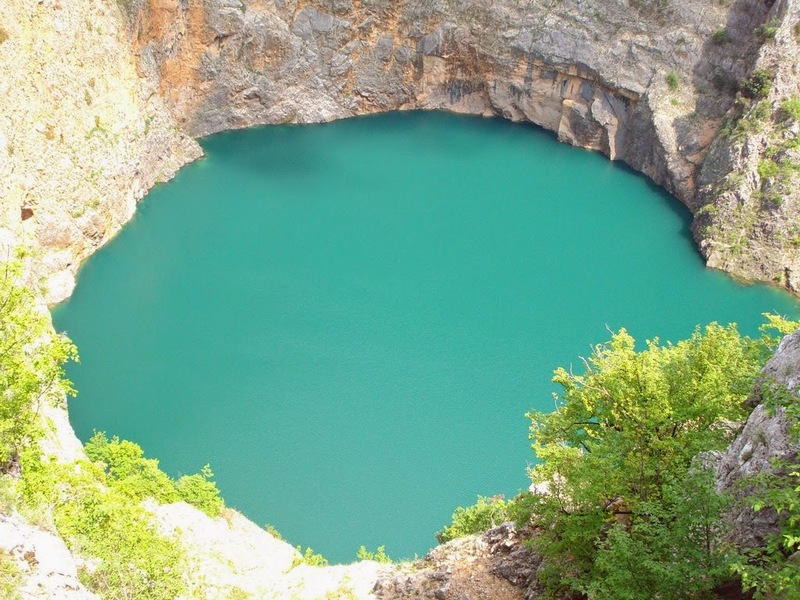 The Red lake sinkhole is nearby Blue Lake is a hallowed space for more than just people, too; at this time, Red Lake is one of the last known habitats for a threatened species of river fish. 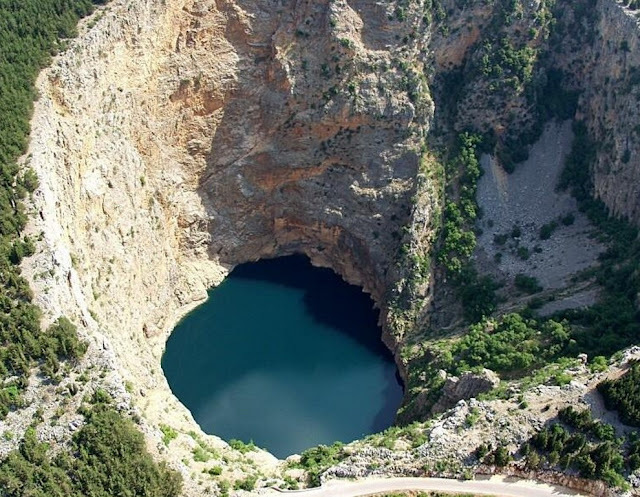 The area is also famous due to various caves and high cliffs reaching more than 241 meters above water level. 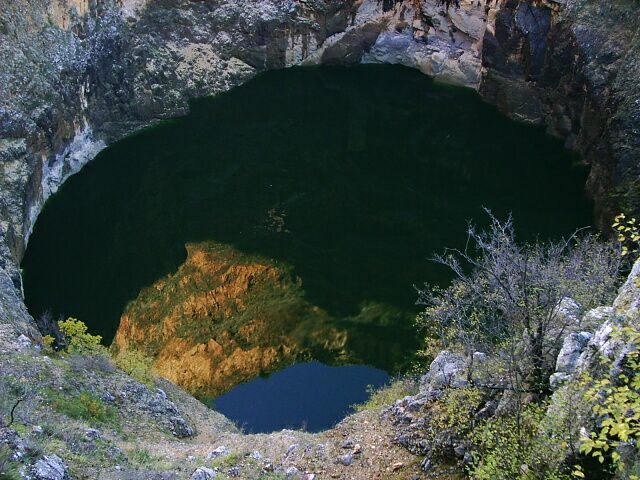 The sinkhole depth is approximately 530 meters with a water volume is 25 to 30 million cubic meters. So, water drains out of the basin through underground waterways that descend below the level of the lake floor. This sinkhole is named after the reddish-brown color of the surrounding cliffs, colored by iron oxides. 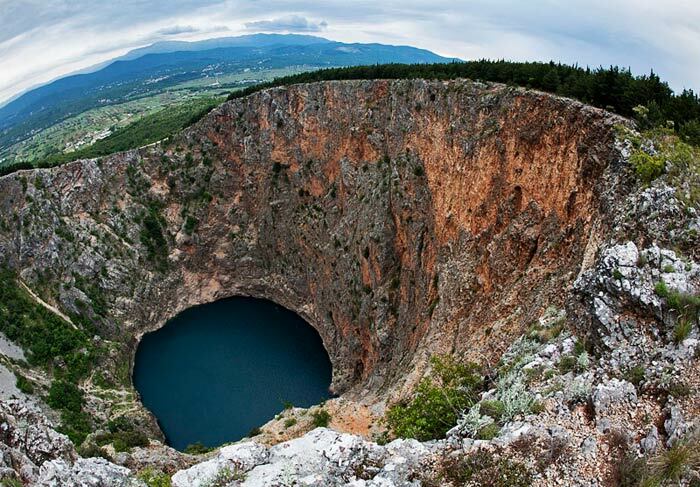 Moreover, it is presumed that the lake emerged when the ceiling of a large cave hall collapsed. 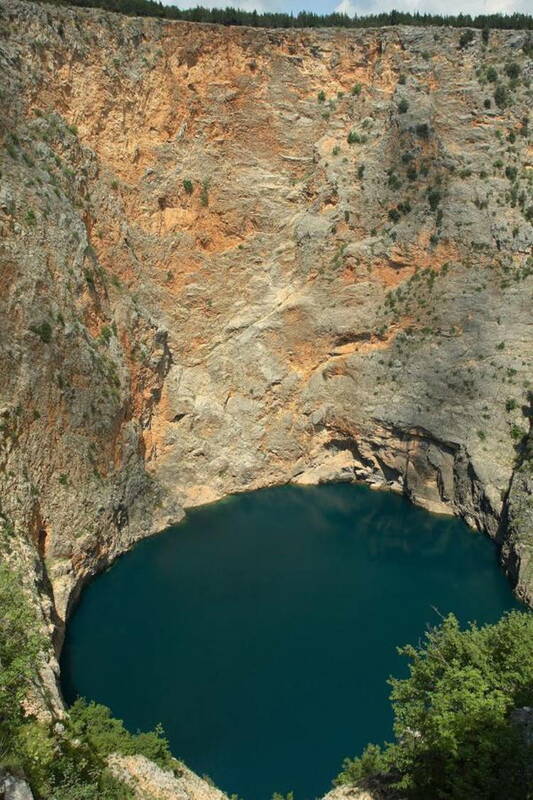 The lake is home of fish Delminichthys adspersus, a small sardine looking fish of 9 to 12 cm, often seen here in dry and spring seasons. 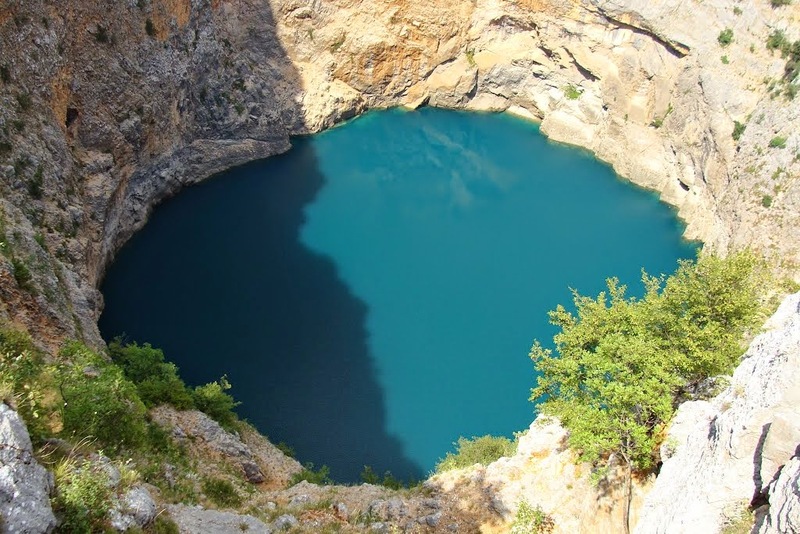 Furthermore, lakes and rivers hints, underground connection between Red lake and other water bodies. 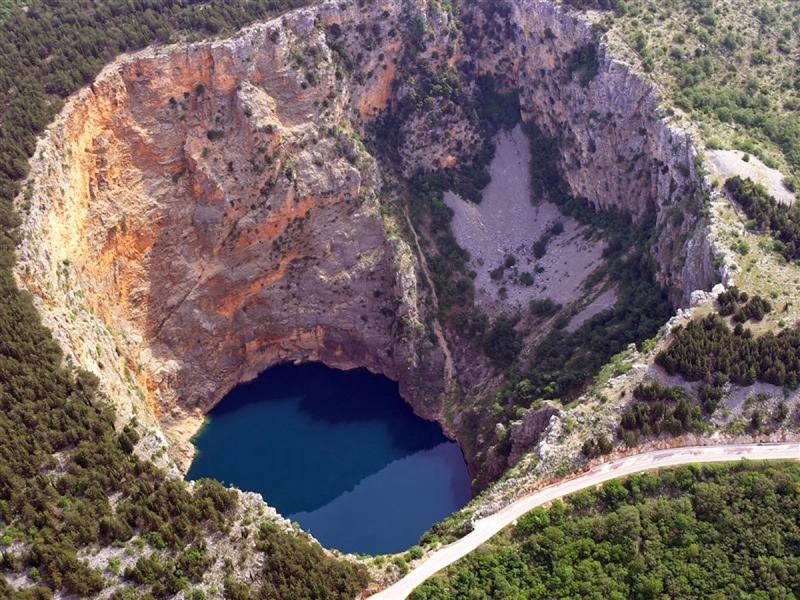 The formation of sinkholes involves natural processes of erosion, gradual removal of slightly soluble bedrock by percolating water, the collapse of a cave roof, or a lowering of the water table often form through the process of suffosion. 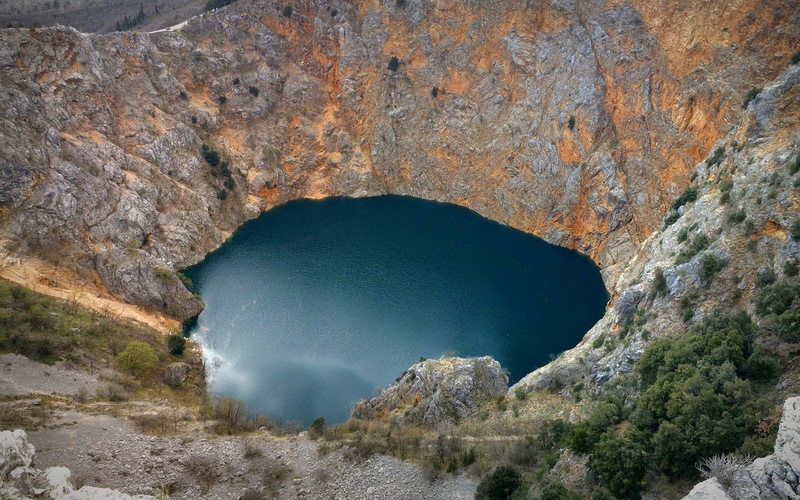 The Red Lake is a protected monument of nature and a veritable phenomenon of the karst known throughout the world for its size and specific features. 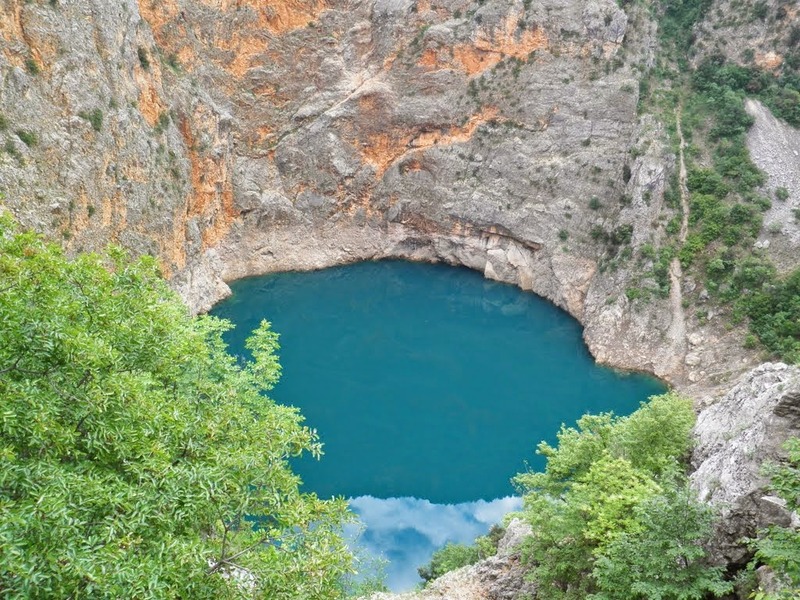 This lake is elliptical in shape actually, 250 to almost 300 metres deep which depends on the season of the year and the water level, however bottom of lake is below the sea level. The lake’s rocks are vertical and red-colored owing to the bauxite ore and also a large water reservoir with drinking and clear water. 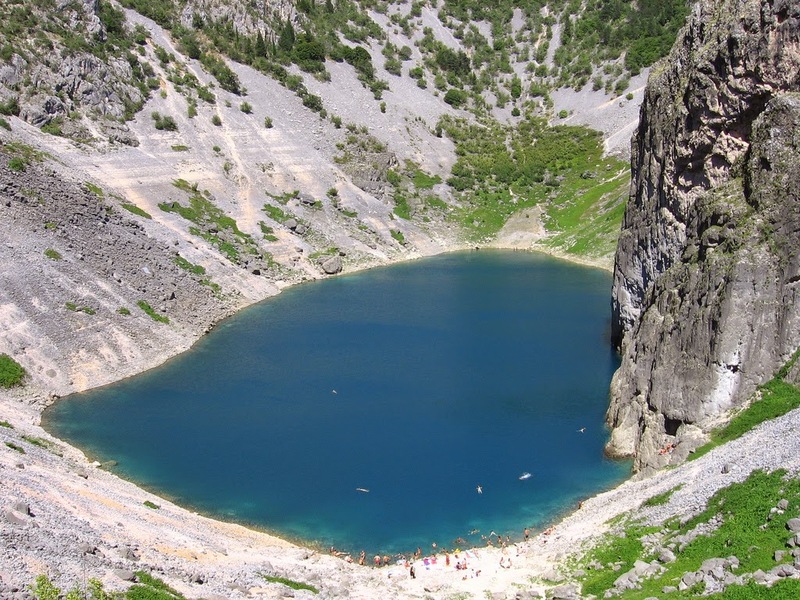 On account of its beauty, mystic features and inaccessibility, the Red Lake is the subject of many stories and legends. As the Red Lake is a geological monument of high significance to natural environment and its morphology is a proof that such status is well deserved, as a worldwide phenomenon so that it now figures on all lists of the world's deepest speleodiving structures. Moreover the accurate figures will be obtained in the course of future explorations to be undertaken by a special kind of bathyscaph. The Red Lake is the world's largest documented and surveyed ground water storage in karst, and deserves to be appreciated as such. 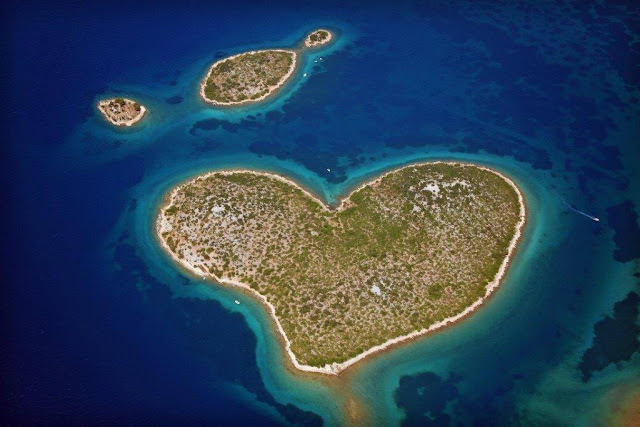 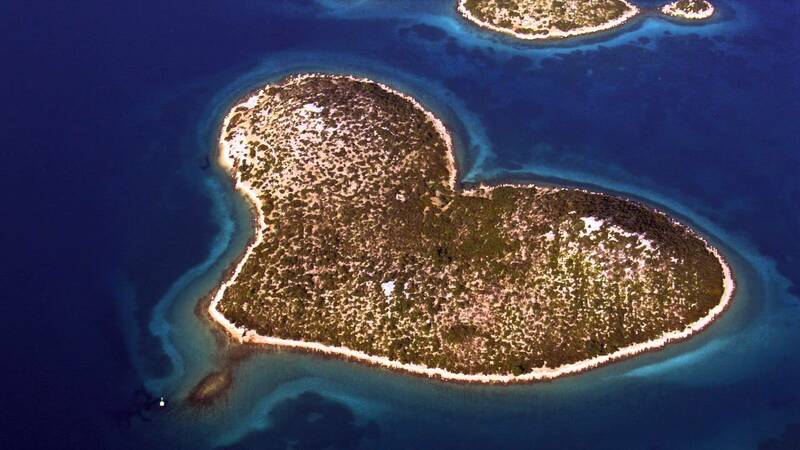 The island of Jabuka, which means apple in Croatian, is a 97-meters-tall uninhabited volcanic island located in the Adriatic Sea; around 52 kilometers west of the island of Vis. 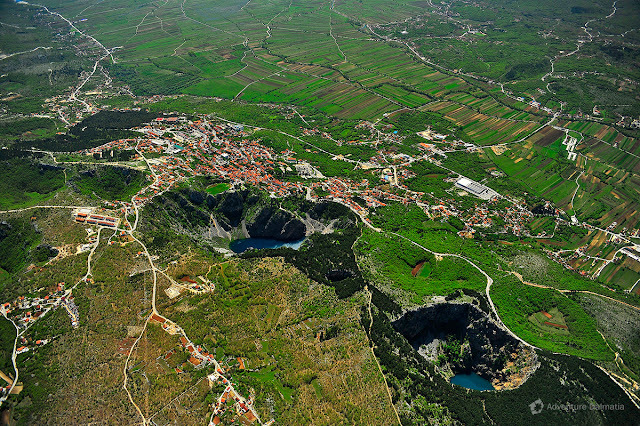 Jabuka, along with Brusnik, are the only two Croatian islands that are entirely of volcanic origin. 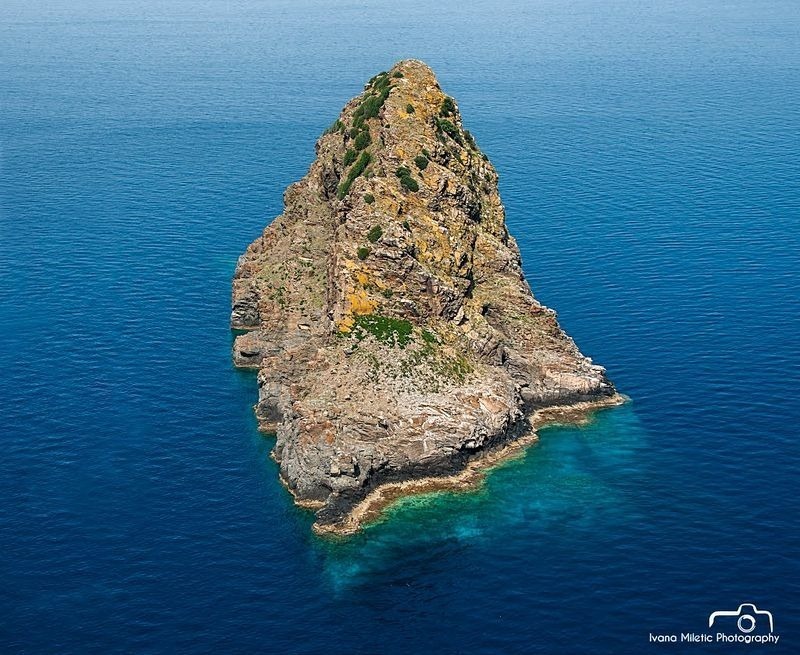 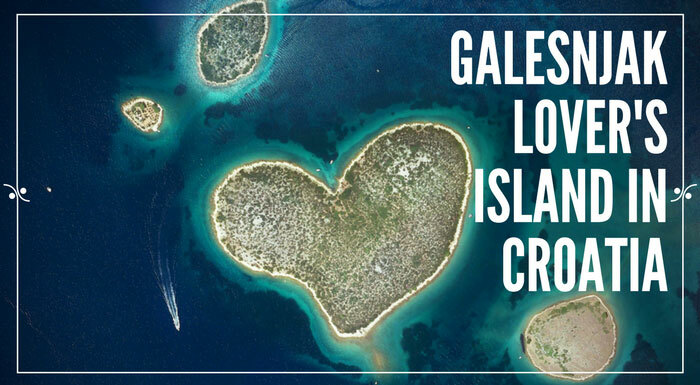 Together with Palagruza, that is only partly of volcanic origin, the three islands form an area called "Adriatic Volcanic Triangle". Brusnik, Jabuka, as well as some parts of Komiska bay on the island of Vis and some parts of Palagruza originated from an eruption of magma due to the breakup of the Pangea prehistoric continent over 200 million years ago. 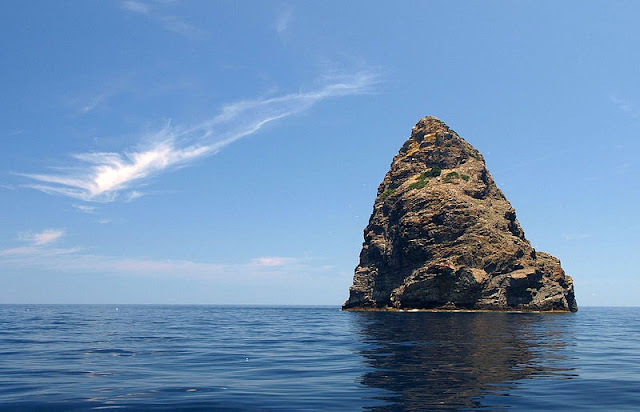 Jabuka has charismatic properties due to the presence of magnetite, a naturally happening iron oxide, in the rocks that origin the magnetic needles of compasses of passing ships to go awry. The island is both a remarkable and frightening sight during nice weather in summer but in winter, when the winds blow causing large waves, Jabuka turns into a life-threatening adventure. 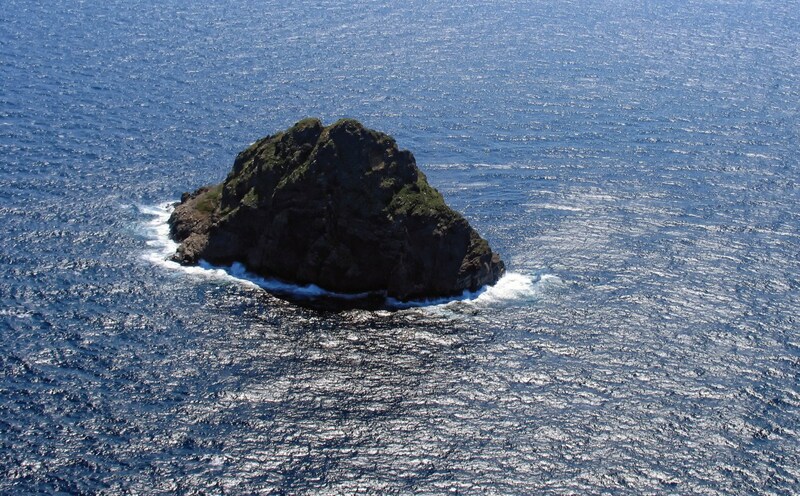 Though some say that ships actively avoid the island because of its magnetic anomaly, truth is, the island lies far from all sea routes. 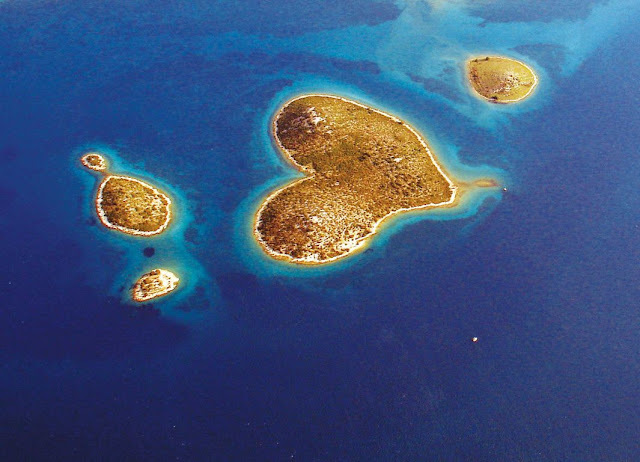 Therefore, boats can hardly be seen in the vicinity except those who have made the island their destination. 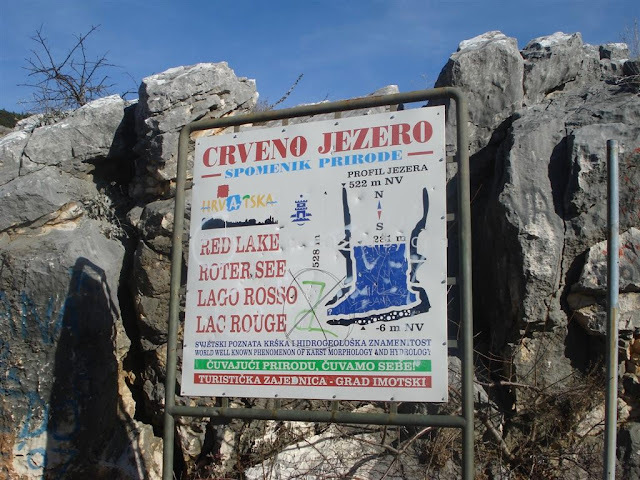 But getting to “Jabuka” can be really difficult. 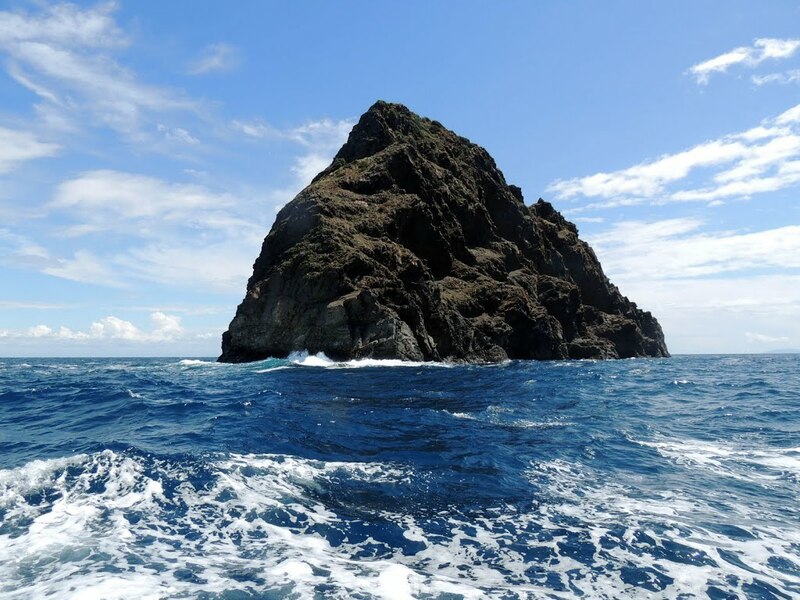 Moreover, standing alone in the deep waters, “Jabuka” is exposed to all winds, and since even the fragile winds cause large waves in the open sea, it takes a lot of skilled maneuvering and luck to avoid crashing into this volcanic rock. 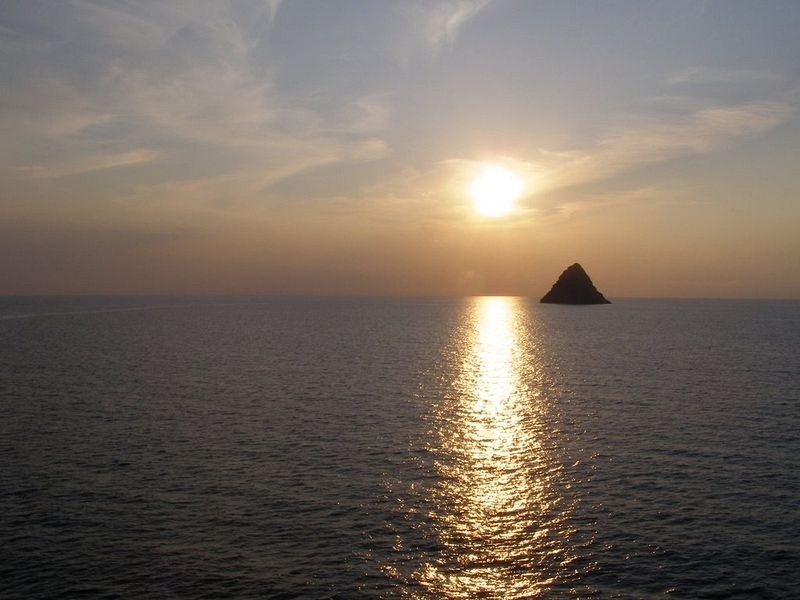 Furthermore the shoreline is not appropriate for docking, and there’re no bays that could keep your boats safe from the wind. 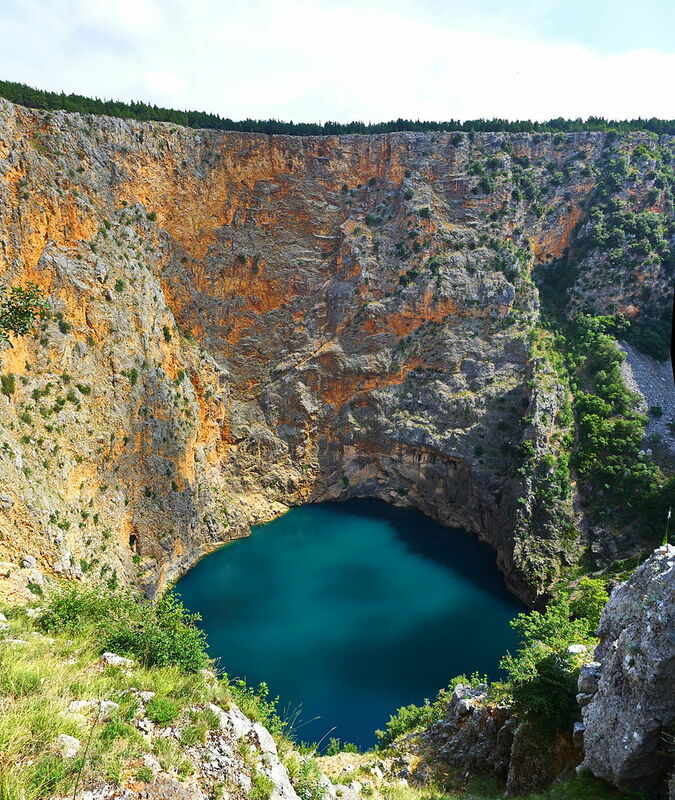 The steep cliffs make it difficult to build shelter and the surrounding waters are 200 meters deep and not appropriate for anchoring. 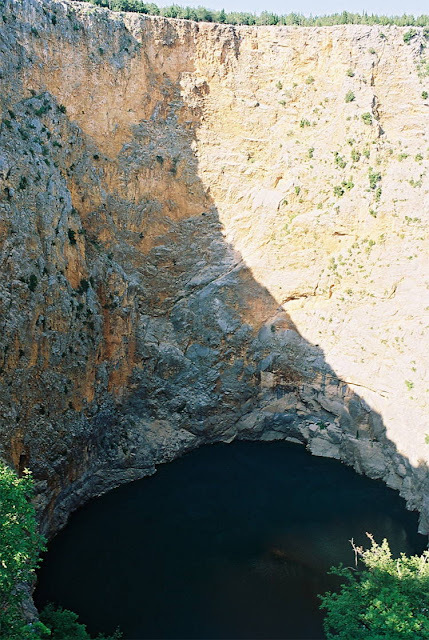 In addition, the rocks are smooth without natural protrusions where the boats could be tied. 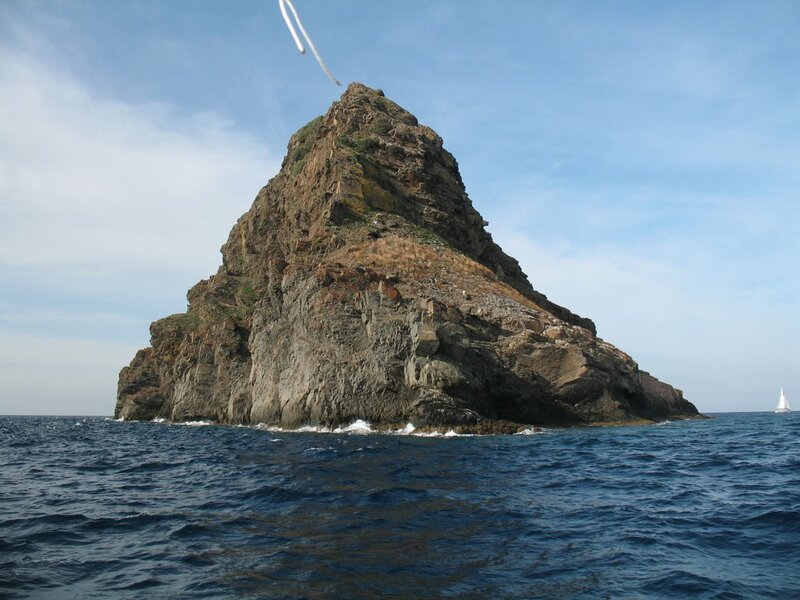 The sea surrounding Jabuka, though, is tremendous fishing-ground that entices several brave fishermen. 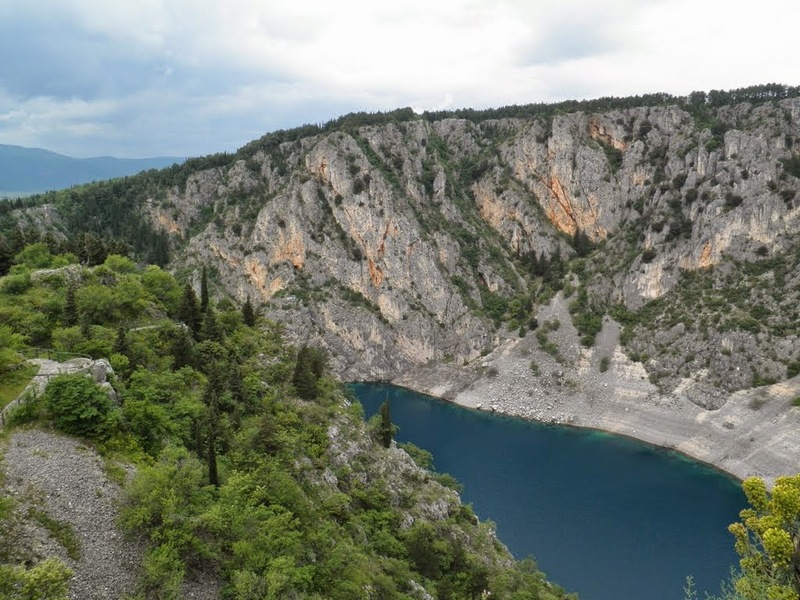 A very small number of plant and animal species have also adapted to the rough climate, including two endemic species a plant called knapweed and an animal species of black lizard. 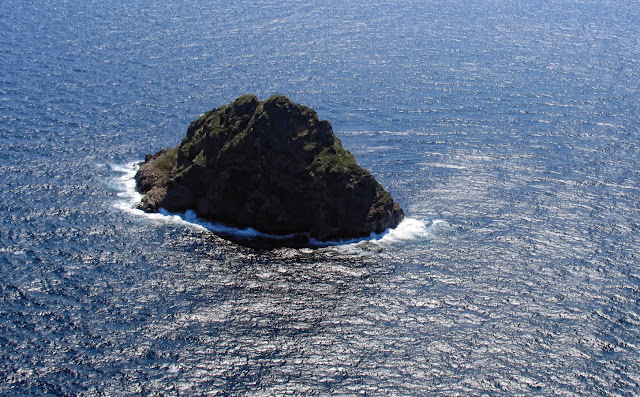 Some 50 years ago, the island was home to another endemic type of carnation, but is now extinct. In 1958 the island was declared a geological monument of nature. 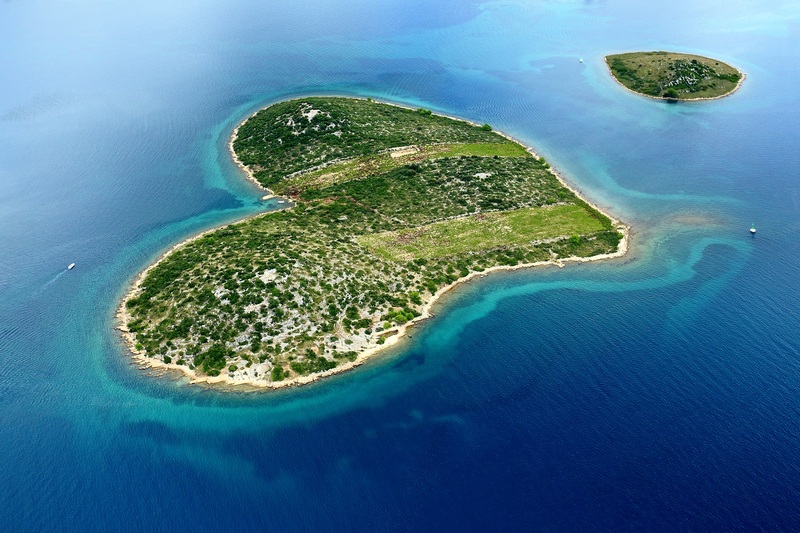 Moreover, when there were no motorboats, only the valiant, most enduring fishermen dared go to the island in order to make available for their families by catching large fish and trapping valued lobsters. 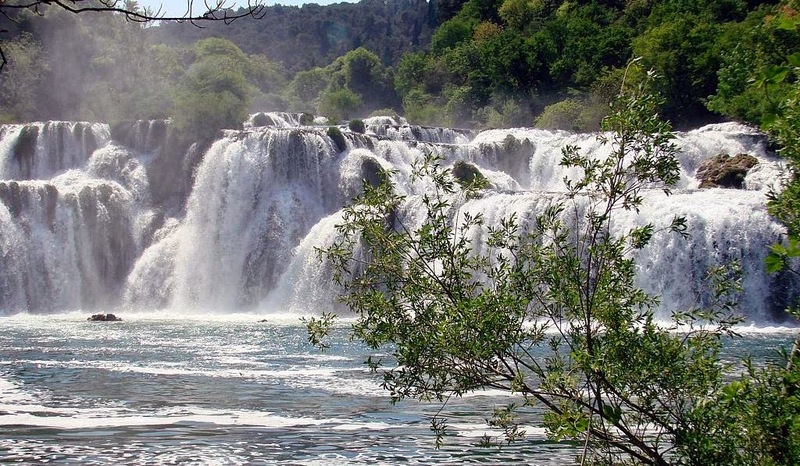 The most popular waterfall on the Krka River is “Skradinski buk” which is longest and one of Croatia’s best known natural wonders. 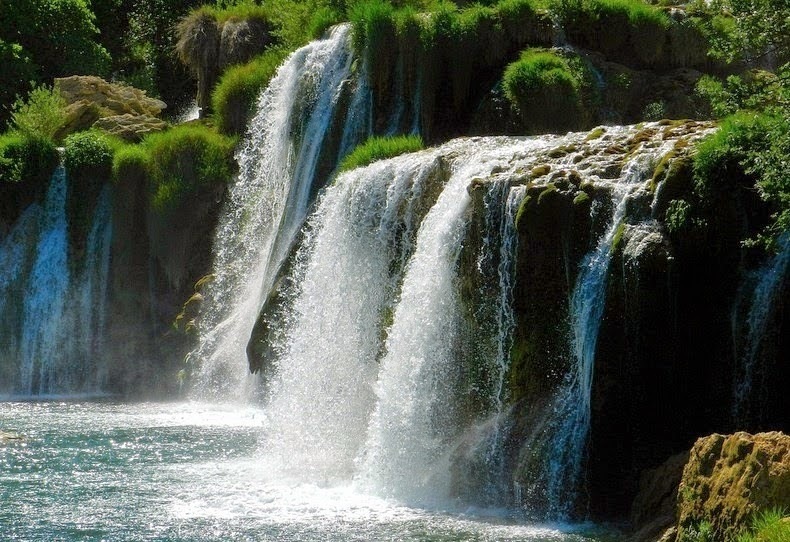 The waterfall is a huge, clear, natural pool with high falls at one end and cascades at the other. 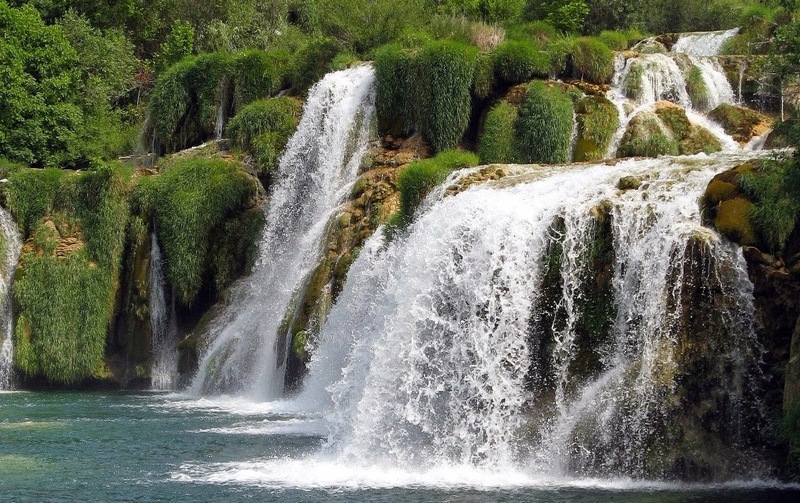 The most famous lakes in Croatia is clearly Plitvice lakes, which are a must see site for every visitor in Croatia. 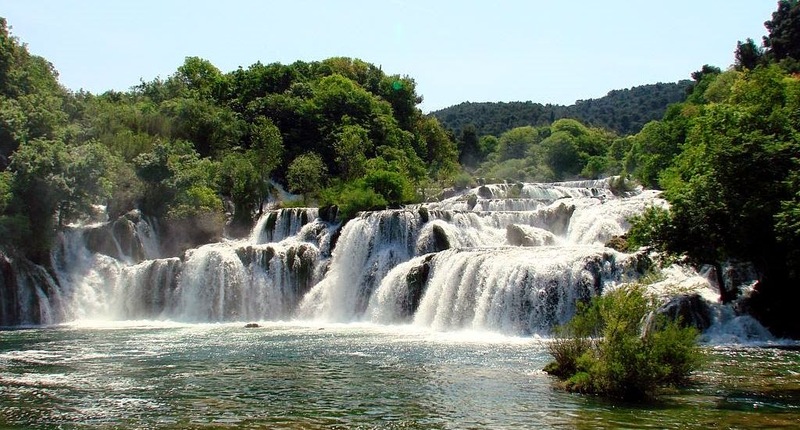 If you travel by car to any region in Croatia, you will be able to visit at least some of best waterfalls in Croatia, and Skradinski buk is one of them. 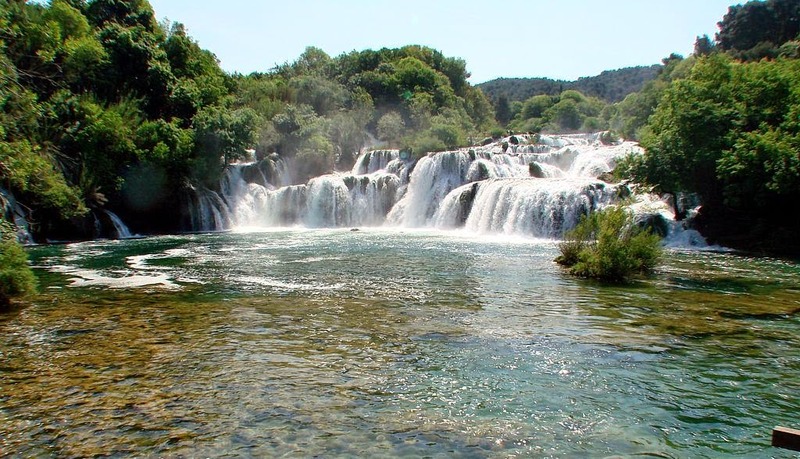 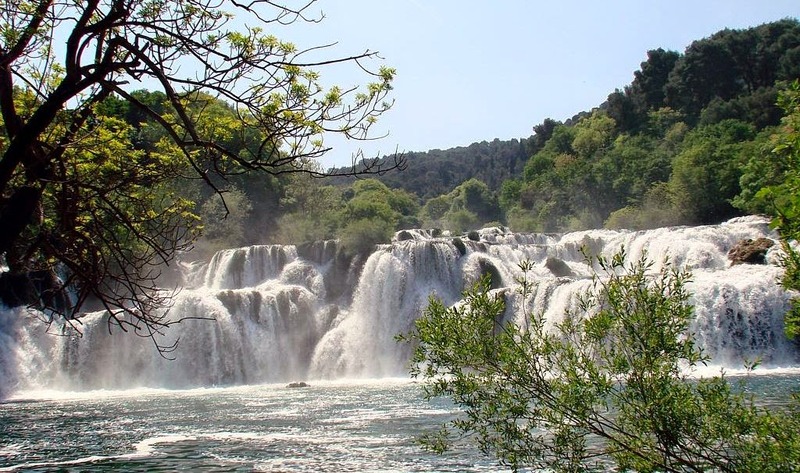 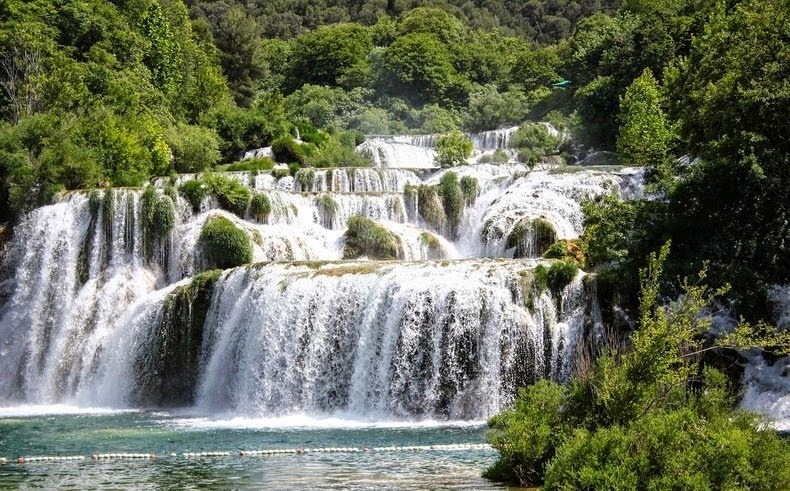 The Skradinski buk is the lowest of the three sets of waterfalls formed along the Krka River and located about 13 KM downstream from Roški slap and an entire of 49 KM downstream from the source. 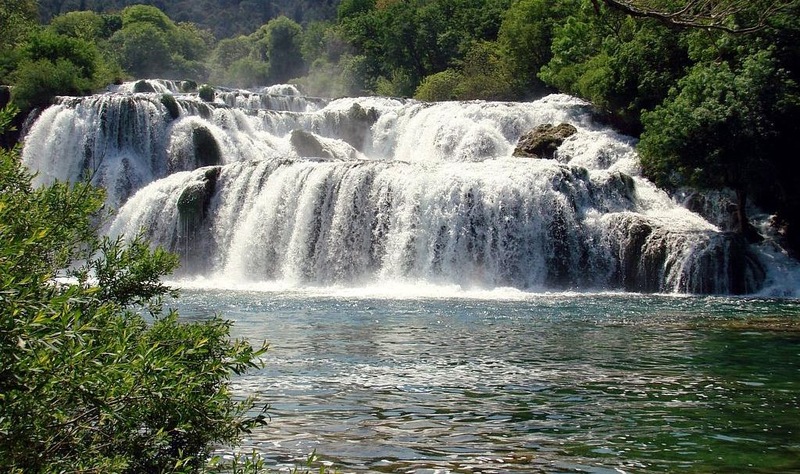 Skradinski buk is considered one of the most beautiful cliff water falls in Europe. 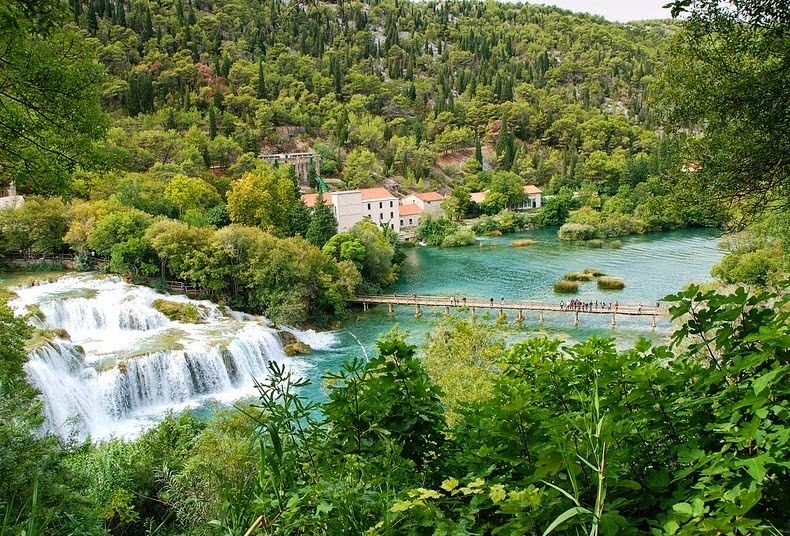 You can see them with a walk through a Forrest on a wooden path and bridges. 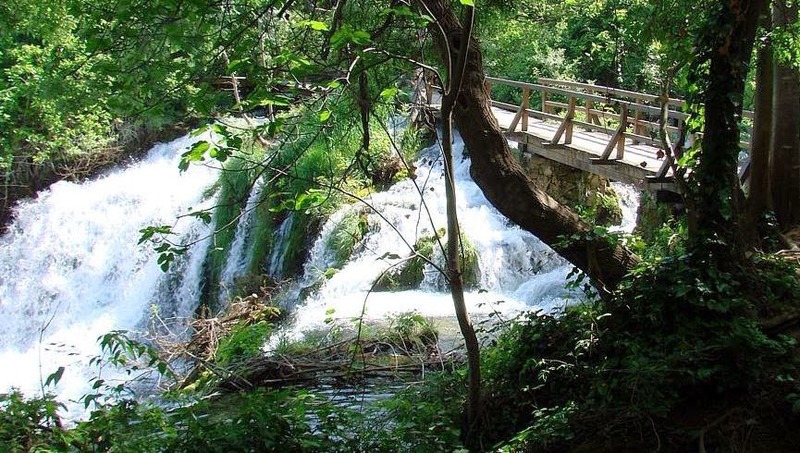 A beautiful walking trail has been constructed over the river that takes tourists on a light walk through the deep shade of lush Mediterranean and sub-Mediterranean vegetation. 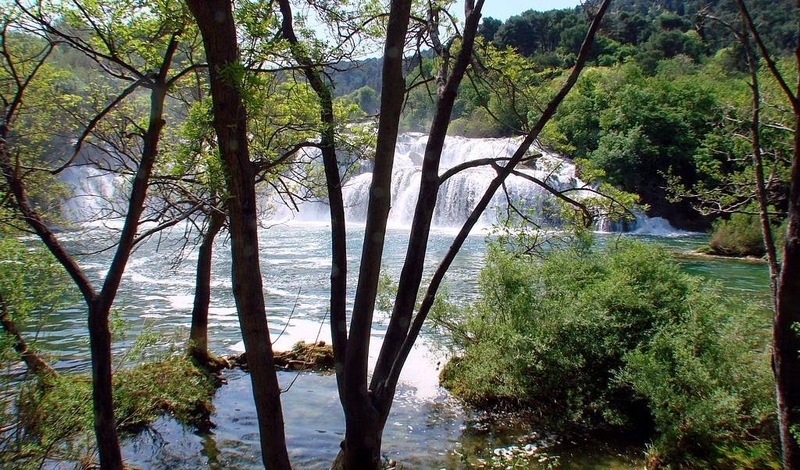 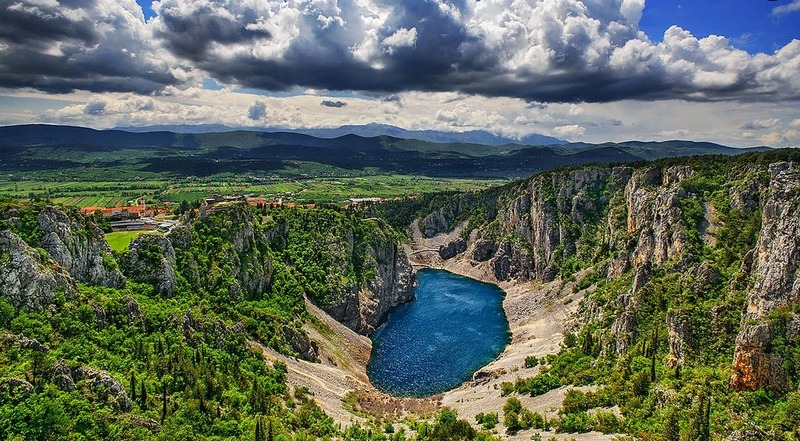 The growth of travertine barriers at Skradinski buk was caused by the merger of the waters of Krka River with the 3KM lower current of the Čikola River at Roški slap, producing one of the most rare and lovely landscapes of the Krka National Park. 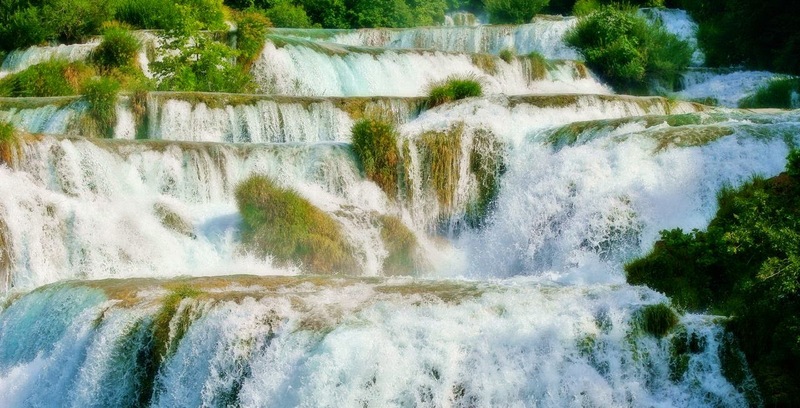 The combined waters of the Krka and Čikola Rivers flow over the 17 steps at Skradinski buk, distributed along the 800 meters in length. 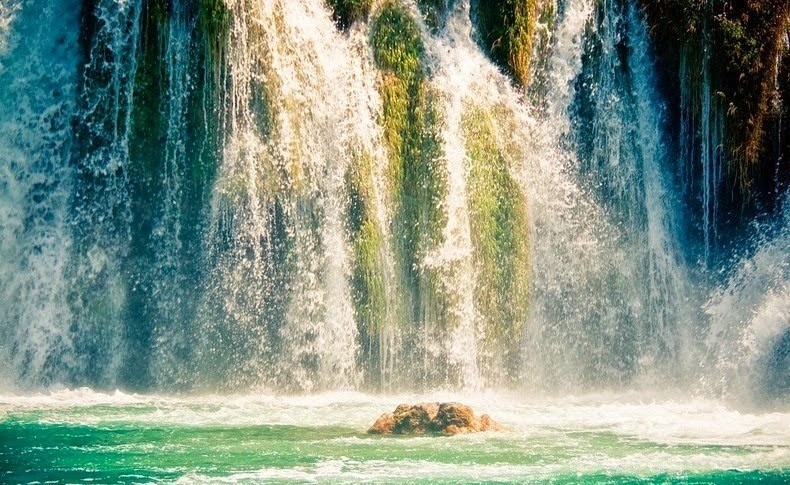 The width of the cascades is between 200 and 400 metres with an overall height difference of around 45 meters. 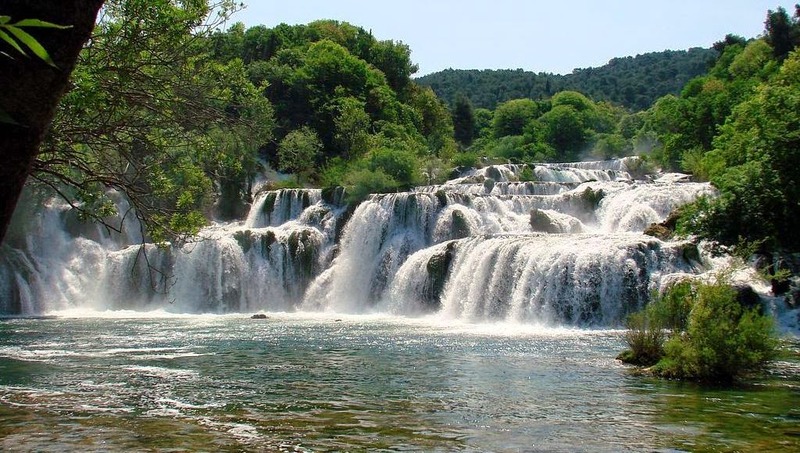 Travertine formations in the lower portion have caves and tufts while the upper portion of the river includes thresholds, travertine islands, draperies and barriers. 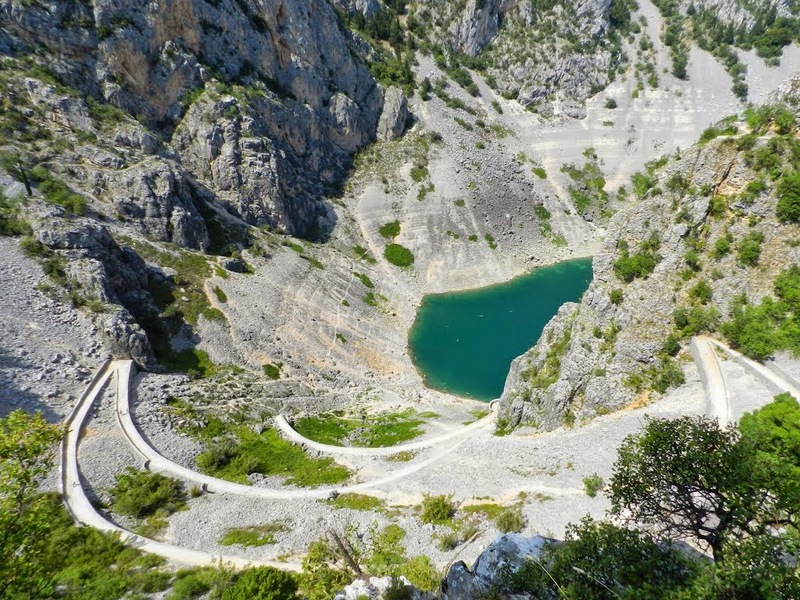 A 60 minute light walk over bridge take you to deep shade of lush Mediterranean and sub-Mediterranean vegetation, which offers the unique microcosms of mystical sounds, lights, colors, the mysterious world of travertine mosses and plentiful plant species of the travertine barriers and aquatic habitats. 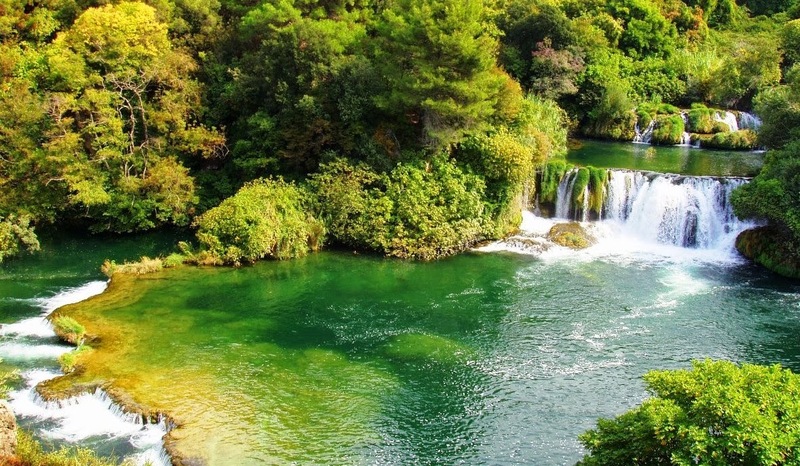 Fortunate tourists will not miss the heart catching song of the nightingale, the splashing of the coot, the swimming of the Illyrian ide, the call of the green frog, the flight of the hawk and the playful ballet of emerald dragonflies and colorful butterflies.